The Brcko District ( Bosnian: ; Croatian: ; Serbian: ) in northeastern Bosnia and Herzegovina is a neutral, self-governing administrative unit, under the sovereignty of Bosnia and Herzegovina. 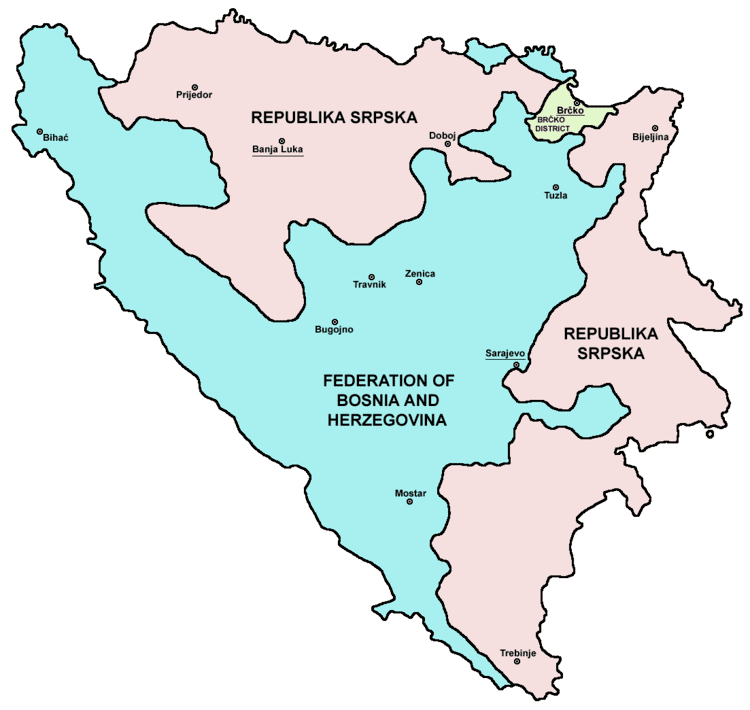 It is formally part of both BiH entities: the Republika Srpska and the Federation of Bosnia and Herzegovina. The seat of the district is the city of Brcko. The Brcko District was established after an arbitration process undertaken by the High Representative for Bosnia and Herzegovina. According to the Dayton Peace Accords however, the process could only arbitrate the disputed portion of the Inter-Entity Boundary Line (IEBL). The Brcko District was formed of the entire territory of the former Brcko municipality, of which 48% (including Brcko city) was in the Republika Srpska, while 52% was in the Federation of Bosnia and Herzegovina. Since the end of the Bosnian War, the European Union (EU) has maintained a diplomatic peace-keeping presence in the area. Brcko was the only element in the Dayton Peace Agreement which was not finalized. The arbitration agreement was finalized in March 1999 resulting in a "district" as mentioned above which was to be administrated by an American Principal Deputy High Representative who is also ex officio the Brcko International Supervisor. 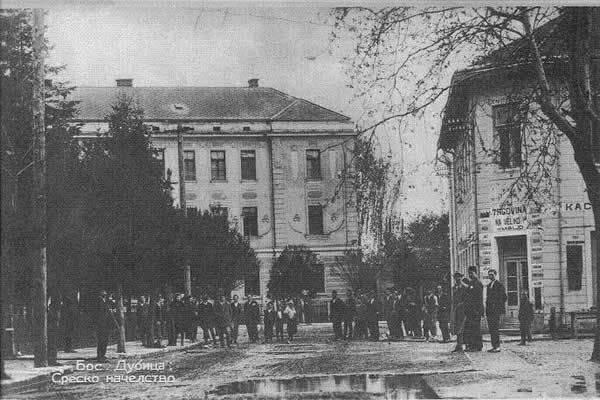 In 2006, under the Supervisory Order, all "Entity legislation in Brcko District and the IEBL" was abolished. The ruling made by the Brcko Supervisor Susan Johnson abolishes all Entity Laws in the District, as well as abolishing the Entity Border Line. The ruling makes the Laws of the District and the Laws of the State of Bosnia and Herzegovina (including the laws of the Socialist Republic of Bosnia and Herzegovina) paramount within the District. Following a Peace Implementation Council (PIC) meeting on 23 May 2012, it was decided to suspend, not terminate, the mandate of the Brcko International Supervisor. The Brcko Arbitral Tribunal, together with the suspended Brcko Supervision, continues to exist. The first Brcko International Supervisor arrived in April 1997. Prior to that time, the Organization for Security and Co-operation in Europe (OSCE) had a modest office headed by Randolph Hampton. During the interim time before the District of Brcko could be represented post arbitration agreement, local elections were held, and humanitarian relief was provided with cooperation from the United States Agency for International Development (USAID) and ECHO. The District became known as a center for different state-building programs run by foreign governments, particularly the United States.